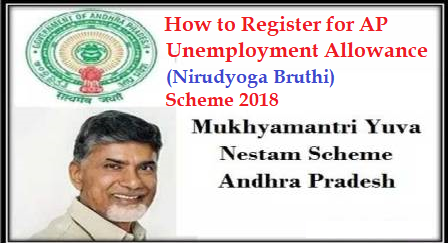 AP Mukhyamantri Yuva nestham Scheme Online Registrations, AP Nirudyoga Bruthi Registrations, Chief Minister Yuvanestham Scheme in AP for Unemployment, Nirudyoga Bruthi AP Online registrations, Nirudyoga bruthi Last date, Nirudyoga Bruthi Apply online, AP Nirudyoga Bruthi apply online, Yuvanestham registrations, Yuva nestam registrations, www.ap.gov.in nirudyoga bruthi. The AP State has finalised the list of eligible beneficiaries of the much-awaited Chief Minister Yuva Nestham unemployment allowance scheme, which will be implemented from October 2. The website to enable the unemployed youth to register for the scheme will be launched on September 14. In addition to diploma and degree holders, the Govt also decided to extend the benefit to the youth with D Pharmacy qualification. Similarly, the youth who are already availing of social security pension, will also be eligible for getting the dole (benefit paid by the government to the unemployed). Age between 22 and 35 .
i am alredy linked my aadhar with my SBI account but it shows no. when i click on grievance registration option.it didnt show any form to fill.it shows close and submit.what i have to do?